Rita Ora, a famous American singer seems to have a good taste only for American singers. She has dated a whole lot of singers namely, Jay Z, Bruno Mars, Drake, Snoop Dogg, Calvin Harris, Justin Bieber, Chris Brown, Wiz Khalifa and many others. But the main question is which one of these guys is Rita dating currently? Talking about Rita Ora’s current affair, she has been dating a Canadian Socialist named, Ty Wood since 2017. She might have lost interest in singers now; however, Wood surely knows how to play guitar. Keep on scrolling to know more about their relationship. Also, don’t worry, we will be sharing all her past affairs too, just don’t stop yourself from reading the article until the end. Rita Ora and Tyrone Wood have been secretly dating since May 2017. They were able to keep their love life secret for a couple of months and has recently revealed the affair. Tyrone is a son of Rolling Stone rocker, Ronnie. Seems like Rita will never stop her trend of liking singer guys or singer’s son. Rita and Tyrone met last year but have only recently taken their relationship to the next level. While it’s all quite new, they’re getting on really well and have even been on holiday quietly together. Rita seems to like Tyrone, more than she did to her exes because he’s a one-woman man and no fame hungry. He keeps on doing a lot of work for charity as well and Rita finds this really attractive. She has also been extremely supportive of that. As mentioned earlier, Rita has been with seriously a lot of singers. Let’s start with her first reported singer boyfriend, Jay Z. They reportedly dated way back in 2009. 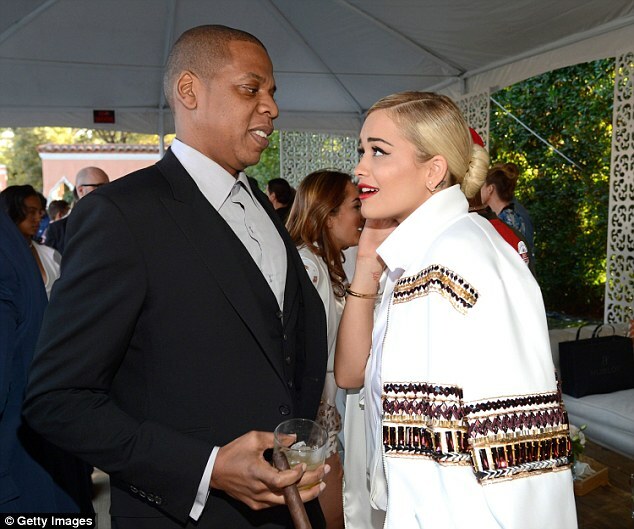 Rita was accused of having an affair with a married man Jay Z which both the singers have never accepted. Another famous relationship of Rita Ora was with Bruno Mars. They dated from February 2009 to February 2011 even before they were famous. They said that their love was at the first sight and that they had a wonderful romance together. Rita Ora and Drake’s relationship also didn’t last for more than few months. They were encountered back in the year 2012. Rita has also been rumored to be dating another rapper, Snoop Dogg. Even though they didn’t officially reveal that they ever dated, they were seen hanging out together in Thailand for their music video ‘Torn Apart’. Rita even posted a picture of them together on a beach. They were rumored to have hooked-up and saperated the same year in 2013. Rita Ora started dating Calvin Harris from may 2013 to may 2014. Their break up became a big subject of discussion at that time. Rita Ora was left embarrassed after Calvin dumped her publicly through Twitter. Rita Ora was also rumored to be in a relationship with Justin Bieber back in the year 2014. Again their relationship wasn’t confirmed but were seen hanging out together quite often back then. So, these are the singer guys that Rita Ora dated in her lifetime. Let's hope that his current relationship with Ty Wood doesn't end up like the ones before. Let's hope that they stay together happily ever after.